Book a skilled gutter cleaning expert in Little Rock. Backed by a total satisfaction guarantee and amazing customer support. 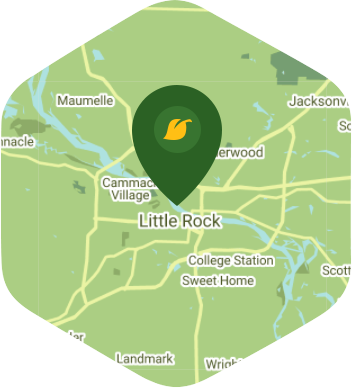 Little Rock is that quaint city in Arkansas that has just about everything that you need to live a happy and fun-filled life. Here you get to enjoy amazing golf courses, lovely shopping centers, and beautiful parks and walkways that are ideal for hiking and biking. There's also a water park and the Little Rock Zoo where you can take your kids during the weekend. If only you could actually spend your weekends at one of Little Rock's many attractions instead of staying at home doing gutter cleaning. The truth is no one wants to get stuck at home doing gutter cleaning during their free time, and if you feel this way then why not call Lawn Love to help you with cleaning out your gutters? You won't have to do any work because our independent lawn pros have got it covered. They have the tools and knowledge required to make sure that your gutters are as clean as a whistle. Booking and maintain our gutter cleaning service is very easy and simple thanks to our app and website. You can complete everything through a tablet or computer in just a few minutes. So before you try to shop around for other companies, give us a call at 501-251-6097, or ask for a free online quote, and get gutters that will be clean all year round.